The Inflammatory Bowel Disease CNS team are looking for a dynamic, personable, and motivated individual to join their team. 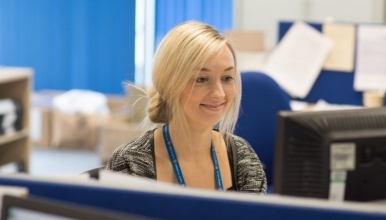 This is a pivotal role, coordinating the day to day activities of the IBD team ensuring a seamless service for IBD patients at The Shrewsbury and Telford Hospital (SaTH) including scheduling appointments and clinics to maximise the service capacity. You will have a prime role as the Trust interface for patients with IBD. The ability to plan and prioritise a varied workload is essential as are good interpersonal skills and the ability to communicate with a variety of staff groups at all levels. The post holder will produce accurate clinical and general correspondence, regularly using complex and sensitive medical terminology from audio transcription and self generated correspondence. They will respond to telephone calls from anxious and distressed patients, responding appropriately to contentious, sensitive and difficult enquiries. This role is advertised as a Band 3 awaiting approval of confirmation of banding via the Agenda for Change evaluation process. The role is full time (37.5 hours per week) based predominantly at The Royal Shrewsbury Hospital with some cross site working required. Part time hours may be considered, please include your preference in your supporting statement. The post holder will also liaise and provide cross cover with the other CNS coordinator roles to cover leave and during periods of higher productivity.